It seems that Rani Mukerji is in no mood (at least for now) to add her husband's surname to her name. It seems that Rani Mukerji is in no mood (at least for now) to add her husband’s surname to her name. Bollywood actress Rani Mukerji is all set to play tough cop in her upcoming film ‘Mardaani’. Rani Mukerji’s first poster from the film was released by the Yash Raj Films on social networking platforms. 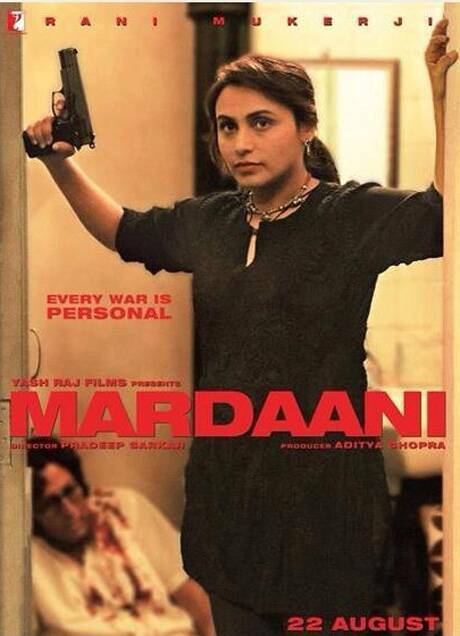 The poster shows a tough looking Rani Mukerji, with a pistol in hand at a door dressed in a black kurta and jeans, after bashing up a guy (seen in the background). We gather two interesting facets from the first look. Firstly, with no male presence (except for the bashed up goon) we can make out that the film follows the 2014 trend of female centric film such as ‘Queen’, ‘Revolver Rani’, ‘Dedh Ishqiya’, ‘Gulaab Gang’, etc. Secondly, it seems that Rani Mukerji, who recently married YRF head Aditya Chopra is in no mood (at least for now) to add her husband’s surname to her name. ‘Mardaani’ indeed. In ‘Mardaani’, Rani Mukerji plays the role of Shivani Shivaji Roy, a police officer with the Mumbai Crime Branch unit who is fearless in confronting hardened criminals. 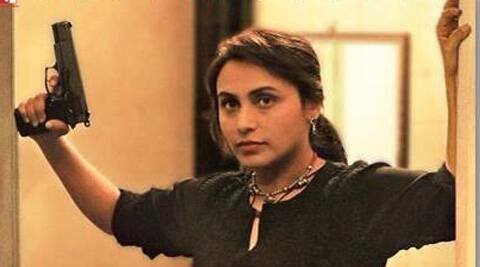 Rani Mukerji has played headstrong characters in films like ‘No One Killed Jessica’, ‘Veer -Zaara’, among others. The film where ‘every war is personal’ is all set to release on August 22. The film is directed by Pradeep Sarkar. Rani will play the role of a cop for the first time in her career in the movie, which is also a distinct departure for Sarkar, erstwhile known for his films like ‘Parineeta’ and ‘Lafange Parinde’.